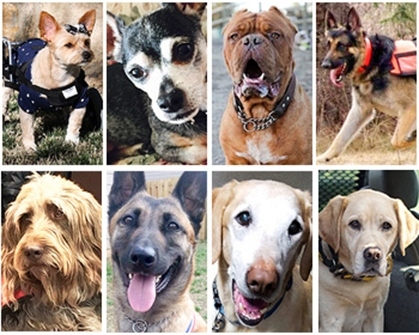 Eight amazing dogs have be named the finalists for the 2016 American Humane Association Hero Dog Awards®. 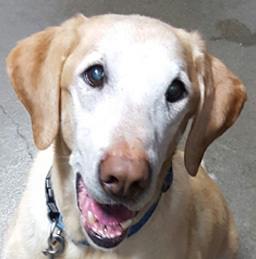 Over a half a million votes were cast by folks from around the country and a panel of dog lovers and experts to name these amazing canines winners in their individual categories from 173 nominees. 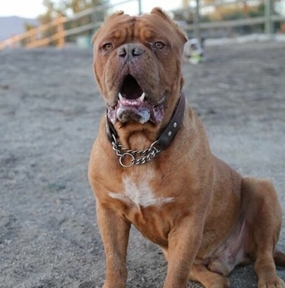 Hooch (Tehachapi, CA) – Hooch is a French Mastiff with badly cropped ears, a broken tail, no tongue, and a bright spirit. Zach Skow, of Marley’s Mutts Dog Rescue, learned about him from a shelter in Bakersfield, and was told that the dog would not eat or drink, and would instead thrash his food and water bowls around “like a maniac.” He was 35 pounds underweight – starving, dehydrated, and severely malnourished. Never thinking to check for a missing tongue, they thought he might have a broken or dislocated jaw that was causing his behavior. When taken to the vet, he was sedated to ready him for x-rays, and the gruesome discovery was made: Hooch’s tongue had been savagely removed at its base, likely in an attempt to prime him for the role of a bait dog. Hooch kept removing his feeding tube, but he took well to being hand-fed. He tilts his head back while his owner takes a handful of food and places it in the back of Hooch’s throat, letting gravity do the rest. Hooch stands for overcoming adversity, bravery and living in the moment. He spends many hours with Marley’s Mutts’ Miracle Mutts division serving as a therapy dog. He works with autistic, abused and special needs children. Hooch shows patience and kindness, is proof that anything can be overcome, and is a great mascot for bravery. 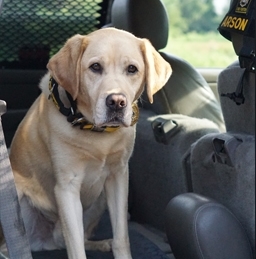 K-9 Roo (Boston, MA) – K-9 Roo is a ballistics/bomb dog with the Boston Police Department, and is retiring this year. His accomplishments include the recovery of 12 firearms (including three used in homicides), more than 300 shell casings involved in shootings, and he has answered at least 500 “shots fired” calls and 200 calls to investigate suspicious packages. He searched Boylston Street after the Boston Marathon bombing, looking for secondary devices amid the carnage. He was in Watertown the night of the shootout and was the only Boston Police K-9 present for the capture of Dzokhar Tsarnaev. Roo searched the yard he was captured in immediately after to ensure Tsarnaev did not plant any IEDs to kill responding officers. He has performed dignitary protection for everyone from the mayor of Boston to the President of the United States, including heads of state from all over the world. He has had the honor of attending funerals of former Boston police officers and officers killed in the line of duty in New York City. Roo has also brightened the days of children by coming to visit them in the hospital or performing demonstrations at community events. He’s protected thousands at public events, from Red Sox games to a New Kids on the Block concert where he ate an entire pizza that a roadie tried to hide – nothing gets by him. 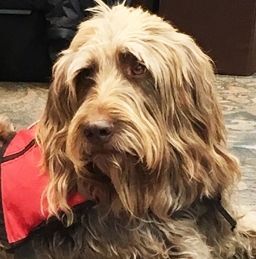 Gander (Great Lakes, IL) – Gander was saved from a Colorado shelter, and was rescued by a women’s prison program in Denver, Colorado for obedience training. He was then trained by Freedom Service Dogs in Englewood, Colorado. 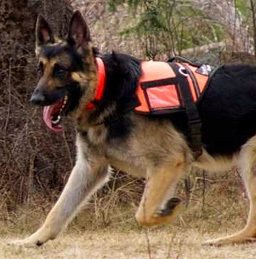 It was there in September 2012 that his handler and Gander became a team. They have not spent one day apart since then and he credits Gander with literally saving his life. In 2014, Gander was the first mixed breed dog to win the American Kennel Club “Award for Canine Excellence.” Gander is on a mission. He travels the United States – 36 states so far – to encourage education and awareness for PTS, veteran suicide, service dogs, and persons with visible and invisible disabilities. While traveling, the team performs Planned Acts of Community Kindness (PACKS), and fundraising. They have been instrumental in helping to raise a million dollars for numerous veterans’ groups, veterans, service dog charities, and individuals in need. They sponsored the country’s first service dog education conference, and have given hundreds of presentations to schools and community organizations. The team created a collection of inspirational dog stories entitled, “In Dogs We Trust.” They love to visit hospitals, USOs and community events as service dog ambassadors. Mango (Las Cruces, NM) – Mango is a four-year-old paralyzed rescue who was homeless, hit by a car, and scheduled for euthanasia. Emma’s Cleft Palate Chihuahua Rescue pulled Mango from a shelter, nursed her back to health and placed her in a program called Emma’s Rescue Reserve. This program was created to place paralyzed dogs with owners so they could work with disabled veterans who suffer from physical disabilities and show them that if a small dog in a wheelchair can overcome her handicap, then so can they. The comfort Mango brings them teaches that “disabled” is only a word and words should never stop our ability to overcome a life-altering, physical change no matter what the handicap may be. 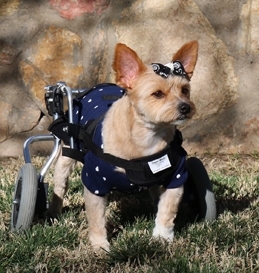 Mango also helps other disabled pets through “Mango’s Freedom Wheels,” which purchases wheelchairs for them. Thanks to generous donations, the group has purchased more than 150 custom-built wheelchairs to help other animals regain their ability to be mobile again. She has put cats, dogs, and even a mini-horse and pig into wheelchairs so they can experience the freedom of standing and running once more. Each finalist will be awarded $2,500 for their designated charity partner . 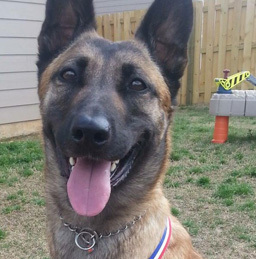 The 2016 American Hero Dog’s charity partner will receive an additional $5,000. All the partner charities are dedicated, like the American Humane Association, to sharing the powerful impact dogs have in each one of our lives and the incredible value and importance to be had within the human-animal bond. 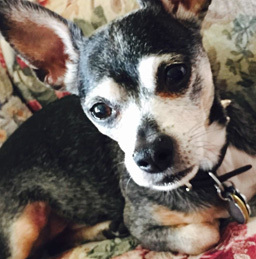 Everyone is invited to submit one (1) vote, per day, through August 24, at www.herodogawards.org. 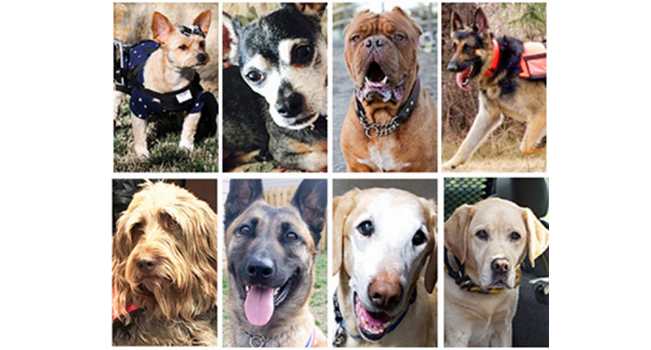 The finalists will be flown to be a part of the Hero Dog Awards gala to take place September 10 at the Beverly Hilton. The event will be broadcast on the Hallmark Channel in late October as a two-hour special. American Humane Association is the country’s first national humane organization, founded in 1877. For more information, please visit www.americanhumane.org. To inquire about Hero Dog sponsorship opportunities, please email Mari Harner at [email protected]. Bulldog Busts A Move to Wham! The stories of these “puppies” as I call them are all heart warming. There are NO unwanted or “useless” dogs. They have a heart, spirit, love that someone needs. Just like babies, there are NO unwanteds…I am now more confused than before as to which one to vote for…I would like them all to win. Thank you “people” too for all you do for these animals. All these amazing dogs are winners for sure. God bless all the people who give these dogs rescue, training and care. It will be hard to vote but I will! Thankyou to ASPCA and all the sponsors for showing just how important dogs can be in our lives.